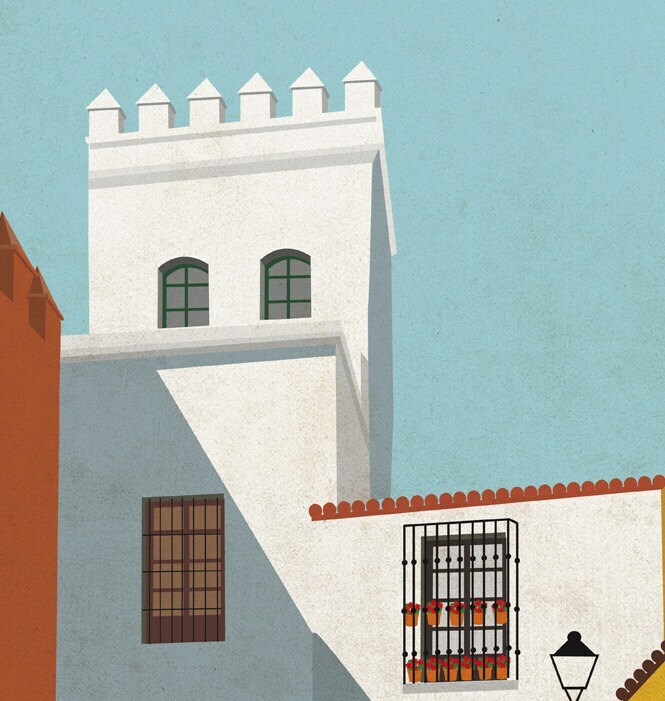 Within our collection inspired by the theme of travel, we have illustrated in this film one of the streets (The Jewish Quarter) and tour more typical of the city of Seville. Retaining the street memories of Jewish residence in the Barrio Santa Cruz. 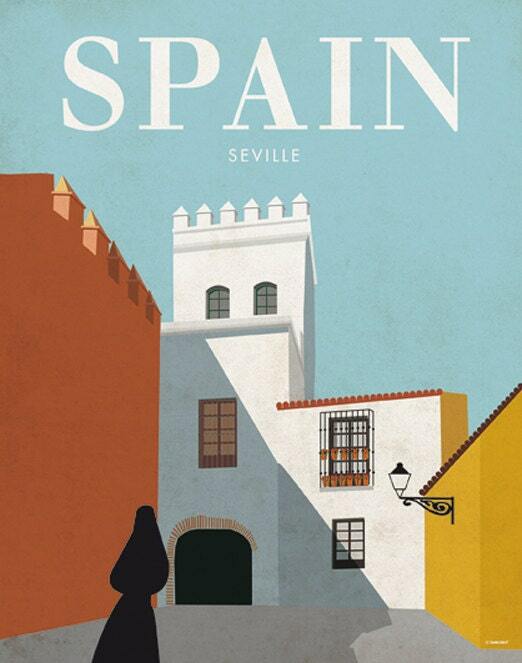 One of the most attractive tourist places in Seville. 40 x 50 cm. - 15,75 x 19,69 inches. Role: photographic high quality 180 g.
Carefully sent in a protective tube. Colors may vary with respect to the colors that you see on the screen. You can pay by Paypal & card. It´s not necesary to have Paypal accont to make the payment because the sistem allows to pay by credit7debit card Visa, Mastercard, Discover and American Express. You have two days to make the payment from the time the order is placed. Beyond that period, orders will be subjet to cancellation. By certified mail within 48 hours (Monday-Friday excluding holidays) after receiving payment. Purchases made on a weekend or holiday will be served on the next working day. As put your order in the hands of our courier company will be notified with the subjet "shiping confirmation order number". If you make the payment by Paypal and the direction you want it delivered is different to that specified in the bill, please send us an e-mail or in the contact section, indicating the order number and the address to that you want me to send you. 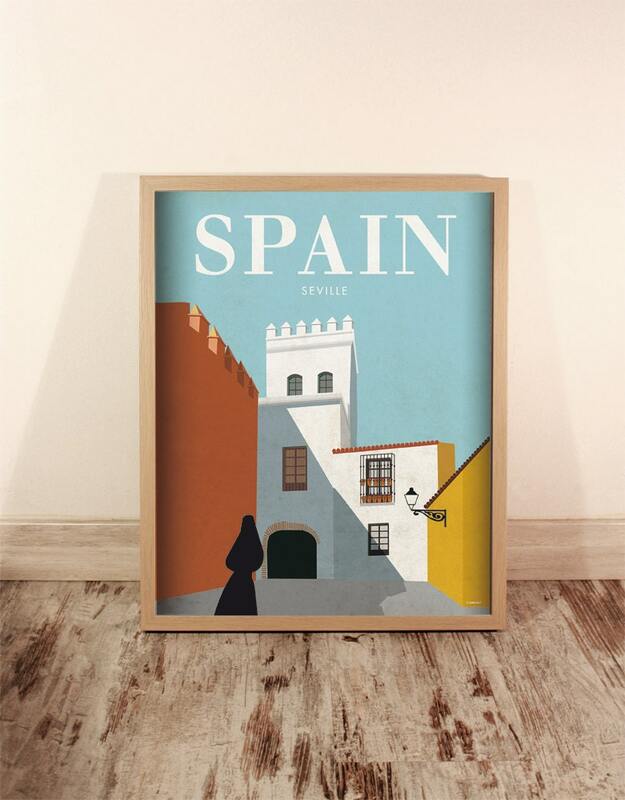 If you place an order from outside of Spain must bear any costs of customs or local taxes if applicable. Packet loss: In case of loss of product in the shipping process, we will assume full responsibility. In such a case, and once confirmed lost by the shipping company manager, just we send another product to the customer. This process may take several weeks because you have to wait for the company conformity loss (consider 30 days from shipment package). IIf you've purchased, does not convince you or have a small defect, send us an e-mail and we will contact you. 1. If you are not in accordance with product quality have within 7 working days after receiving the product to return it. The refund shall be made in its original form and in good repair, and shipping costs borne by the customer. In less than 30 days, the money will be refunded, including postage, in the same way it was paid. 2. If the product has arrived in poor condition there are 7 working days to return the product, shipping costs paid by us and a new product is shipped or the entire amount including shipping costs is returned. 3. The products made or custom can not be returned unless they arrive in poor condition. - You can print as many times as needed after purchase. What type of file will I receive?